Most restaurant owners don’t enjoy managing their finances nearly as much as serving their customers. When you take advantage of our restaurant accounting services, you’ll have time to focus on creating delicious food and a fun environment for your customers, while we handle your books. Our Northwest Chicago Suburbs, IL CPA firm has the experience of working with many local restaurants and bars. This means, we understand the economic and business challenges facing your industry and know how to keep your restaurant ahead of the curve through rising energy costs and seasonal shifts. We can take over bookkeeping tasks that are stressing your resources and provide a full menu of restaurant accounting services, including tip reporting, cash flow management, and budgeting. We'll do more than handle your accounting functions; we'll help make sure your restaurant stays profitable. As our client, we’re keenly interested in your success, so we offer the tools you need to quickly and easily track expenses. We’ll also design a strategy for lowering your tax burden, so you can hang on to more of your profits. Our small business accounting services include weekly financial statements to help restaurants keep their books organized and up to date. Consider outsourcing all your accounting and bookkeeping functions so you don’t have to pay an in-house bookkeeper. 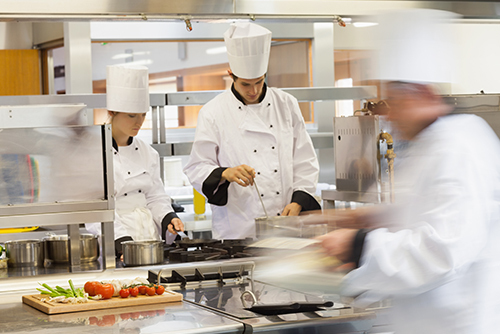 Tax services for restaurants require much more than annual tax preparation. We can solve multi-state tax issues and employ proactive tax planning techniques to minimize your tax burden. We’ll ensure your QuickBooks POS software is setup to accurately record your financial data throughout the year. We offer reliable payroll processing for restaurants at affordable rates. You can count on us to pay your employees on time, prepare 1099s and submit all your payroll tax filings. If you’re opening a new restaurant in the Northwest Chicago Suburbs area turn to Weiss & Thompson, P.C. to formulate a business plan, select an appropriate entity and get sound financial advice.